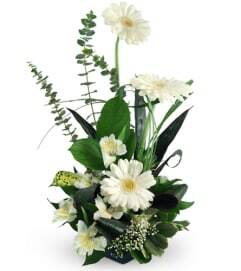 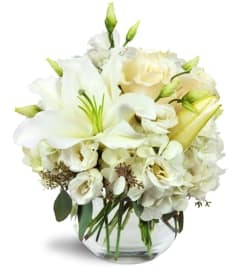 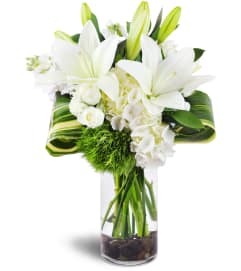 Whether it's snowing outside or not, this darling creamy white arrangement will bring wintry delights to your loved one! Elegant dendrobium orchids add an extra-sophisticated touch, with pinecone accents to bring the outdoors in! 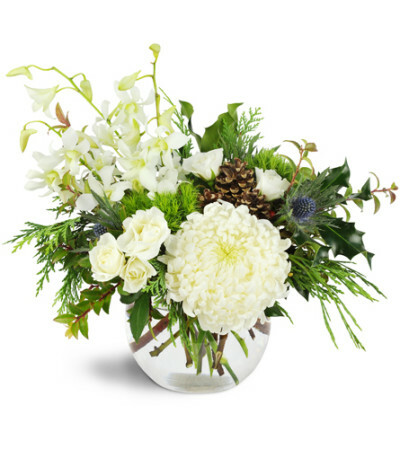 Dendrobium orchids, spray roses, and a stunning commercial mum, all is snowy white, are arranged with pinecones, eryngium, and assorted holiday greens!